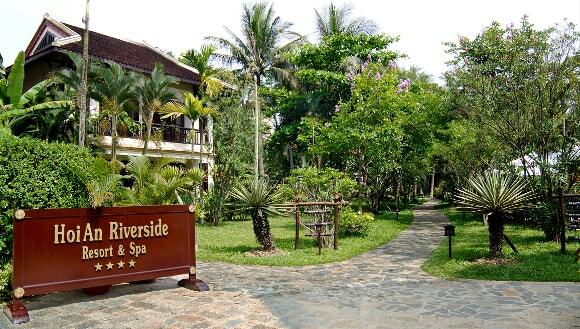 The Hoi An riverside resort and spa reaches four star international standard firstly in Hoi An. 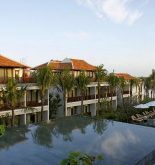 It is located in area where is more 9,000m2 in width at Do riverside as well as is placed between road leading to Cua Dai beach and old quarter Hoi An. 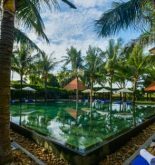 Hoi An riverside resort has its own beach which is distant resort about 800 m, a ten minutes driving distance from Hoi An old quarter and a 35 km distance from Da Nang airport. 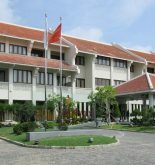 This place is operated on in July 2000 with 63 rooms especially it supports tourists new rooms which reach the high quality in Hoi An. This building of storeys have a great many rooms and each has different romantic landscapes which are overlooked from balcony of each of rooms such as scenic waterway landscape, paddy-field, villages and nearby hamlets. With these landscapes, tourists can feel the traditional culture of Vietnam even it seems to be a part of life around tourists. This information has been supplied by Hoi An Riverside Resort & Spa.